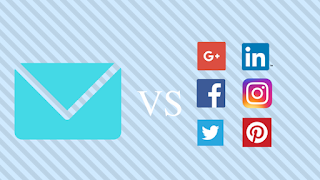 Ayojide.com Get Smart Solutions: Email Marketing VS Social Media Marketing : Which Is Better? Email Marketing VS Social Media Marketing : Which Is Better? It is difficult to say which digital marketing strategy works best. 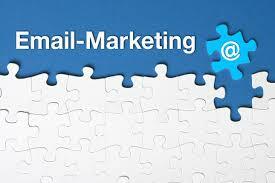 Both email marketing and social media marketing are two different approaches and they both work really well. These two different channels consist of a different set of goals, pros, and cons respectively. Both email marketing and social media marketing has their own success stories and are best methods that can be utilized. 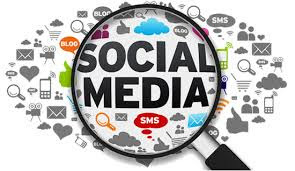 Social media comes under low-cost digital marketing strategy and always have upper hand and rightfully so. About 62% of digital marketers believe that social media channels like Linkedin are an effective source for web traffic and leads. Social media is impersonal when compared to email. It has a far more reach and more effective than email marketing strategy. It basically helps to build brand awareness, attract new customers, faster relationships, etc. Here you can learn about your audience and target them. The trending topics posted in social media channels will create more information for Google to capture. There are multiple social media channels not all have the same strength. Sometimes a lot of customers leave a website within few seconds of entering, due to the shortening attention span of social media. It is one of the disadvantages. Social media marketing can help us to build a stronger email contact list for future campaigns. To build email list you need to target right people on social media and send them to your website and tell them to fill the email subscription form. We can get 10s of thousands targeted emails by driving traffic from social media only. The strength of social media will only keep growing in coming days. About a 59% of B2B marketers consider that email marketing is the best source for lead generation. Email marketing is very effective when done at the right time. It is cost effective and measurable. Email is still used widely at 2.6 billion unique users worldwide. People believe that email is more convenient because everybody checks their email daily. Mostly E-mail marketing takes over after you have a successfully driven traffic to your website through social media. Writing good emails plays a key role in email marketing. Through email marketing campaigns we can connect with the target audience through one channel and this is regardless of the age group. And also have higher chances of converting into sales. Email campaigns with clever subject lines will force consumers to open the email and go through the content. Though emails get a lot of traffic to your website if the content is not good enough anything can create a glitch in your marketing strategy. It is one of the disadvantages. Email Marketing is effective for generating leads whereas Social Media is an effective measure to create your brand awareness. Use social media marketing to win subscribers and then use email marketing to keep up with them and lower your cost per sale. Instead of picking one over the other marketing strategies, a combination of the two strategies will give you the best of both worlds!